Scratch and Save on May 15th! Who doesn't love denim? 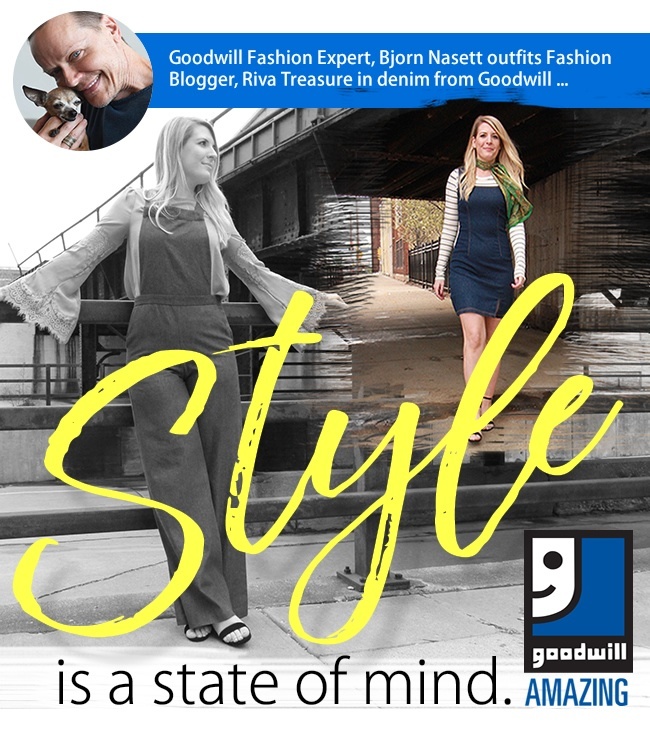 See what Fashion Blogger, Riva Treasure, had to say about the outfits selected by Goodwill Fashion Expert, Bjorn Nasett. And, if you like what you see, on May 15th you'll not only save on denim, but everything else in the store, too! Get your scratch-off ticket for a 10%, 15% or 20% discount. Plus, if you make a purchase on the 15th you'll also receive a coupon to come back on the 16th, 17th and 18th for 20% off your entire purchase!